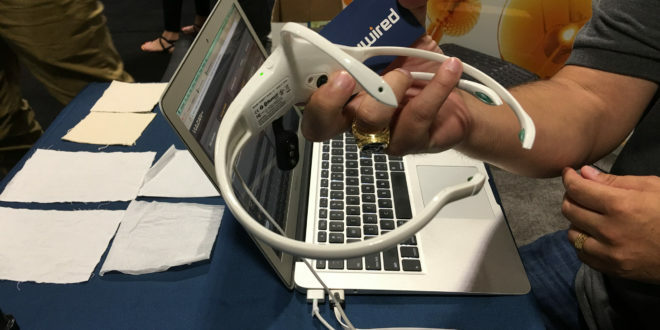 DryWired Emotiv Insight 5-Channel/Sensor and Epoc+ 14-Channel/Sensor Lightweight Mobile Wireless EEG (Electroencephalogram) ‘Brainwear’ Headset Systems for High-Speed, Low-Drag Brain Wave Monitoring: Can They be Integrated with a Military Ballistic Combat Helmet? | DefenseReview.com (DR): An online tactical technology and military defense technology magazine with particular focus on the latest and greatest tactical firearms news (tactical gun news), tactical gear news and tactical shooting news. Back in 2016, DefenseReview (DR) reported on DryWired Defense’s NanoArmor Advanced Rifle Plates with carbon nanotube tech and protective nanocoating tech, both of which they exhibited at SOFIC (Special Operations Forces Industry Conference) 2016. However, we forgot to mention that there was one other very interesting technology they showed us at the booth made by a company called Emotiv, specifically the Emotive Insight 5-Channel/Sensor lightweight mobile wireless EEG (electroencephalogram) “Brainwear” headset system that connects up with a smartphone app to display your brain activity at any given moment, and while engaging in any activity, including high-speed/high-impact and high-stress activities. As soon as we saw it, we wondered if the Emotiv Insight wireless EEG headset tech could be integrated with SOF (Special Operations Forces) ballistic combat helmet system like the Revision Multi-Use Bump Shell/modular ballistic combat helmet, Ops-Core FAST (Future Assault Shell Technology) Ballitic Helmet, or even the futuristic TALOS ballistic combat helmet system, for example, either by integrating the Emotive EEG tech into the helmet itself, or by modifying the helment to allow the device to be worn under it. 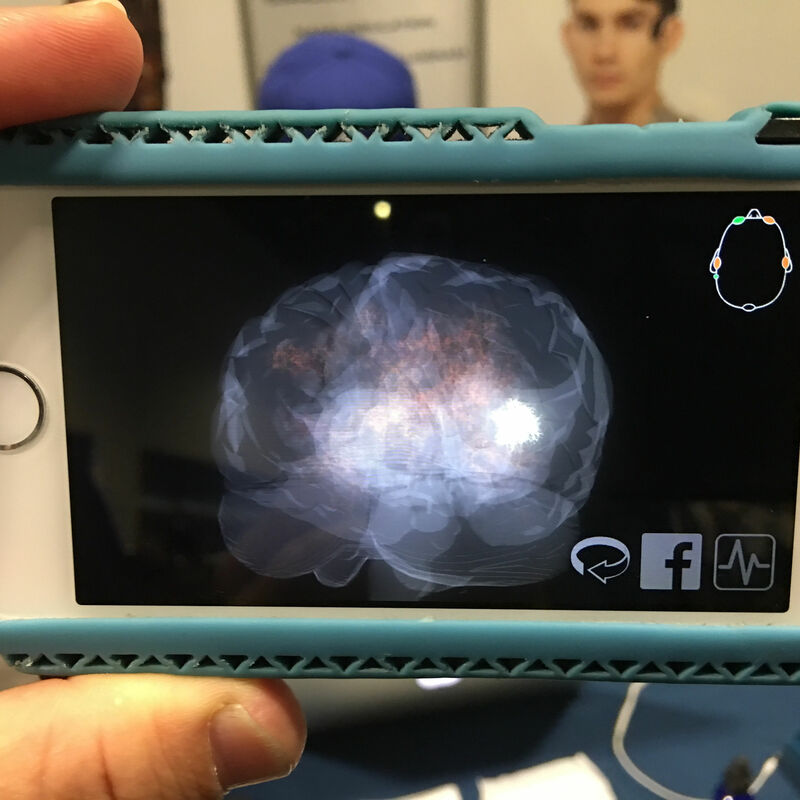 In DR’s embedded video below, you can see DryWired’s Alex Nesic explain the Insight’s features, attributes, advantages and capabilities in detail, and demonstrate how the smartphone app displays/represents the wearer’s brain activity. It’s pretty fascinating. 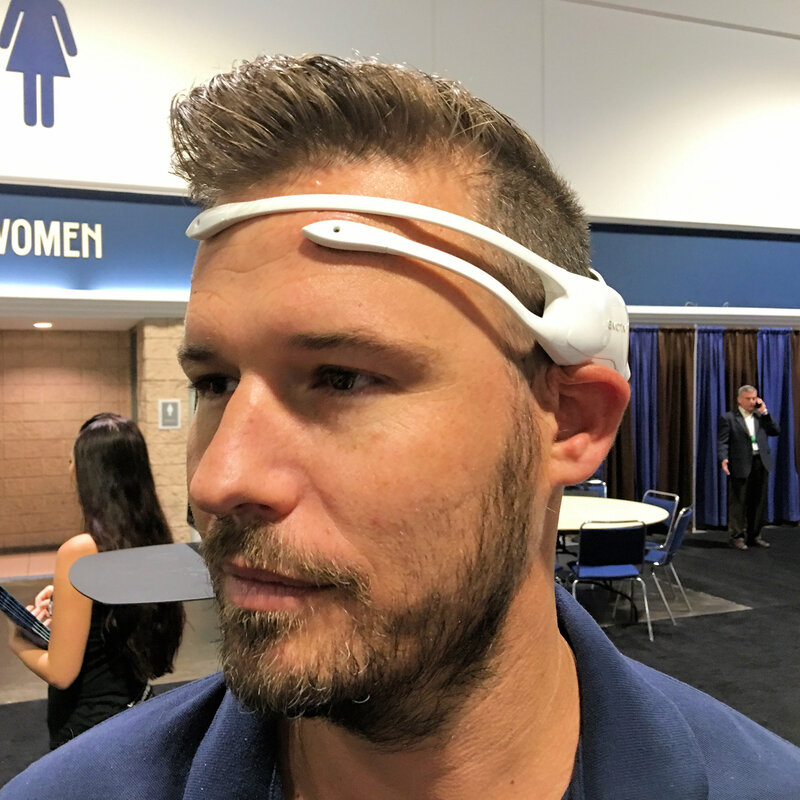 We should note that while the Emotiv Insight 7-channel/sensor wireless EEG headset itself is impressive, Emotiv has an even more impressive (and expensive) 14-channel/sensor system called the Emotiv EPOC+. EMOTIV Insight is a sleek, 5-channel, wireless EEG headset that records your brainwaves and translates them into meaningful data you can understand. Designed for everyday use, Insight boasts advanced electronics that are fully optimized to produce clean, robust signals anytime, anywhere. The EMOTIV Insight uses a proprietary polymer sensor that is safe to use and offers great electrical conductivity with the convenience of a dry sensor. A new kind of hydrophilic polymer biosensor system eliminates the need for extensive preparation and conductive materials like gels or saline solution, by absorbing moisture from the environment. EMOTIV Insight is the only device in its category that offers 5 EEG sensors + 2 reference sensors. This high spatial resolution provides in-depth information on your brain activity. 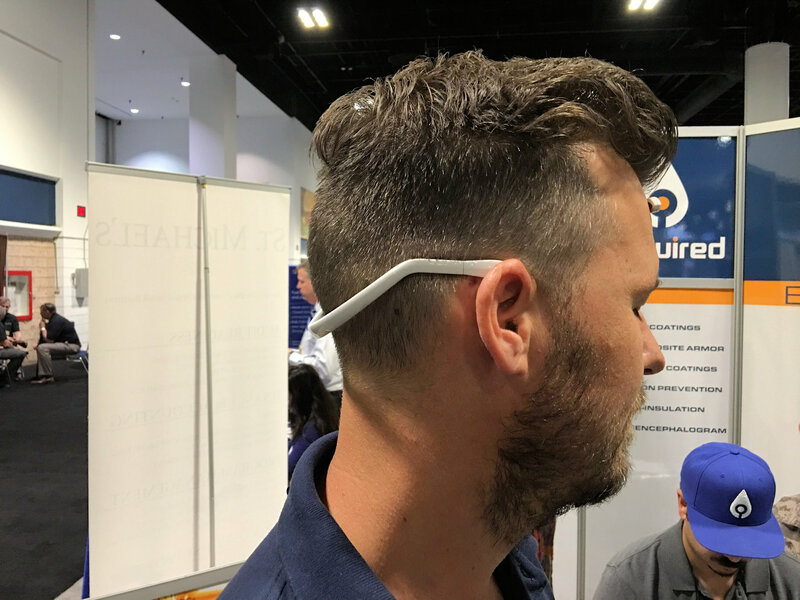 Leveraging years of science-backed research and experience to create the next generation Brainwear®, Insight features an elegant, lightweight and user-friendly design. The most technically advanced and credible consumer EEG device on the market. – Hydrophilic Polymer Sensor technology – No preparation, safe and no sticky gels! 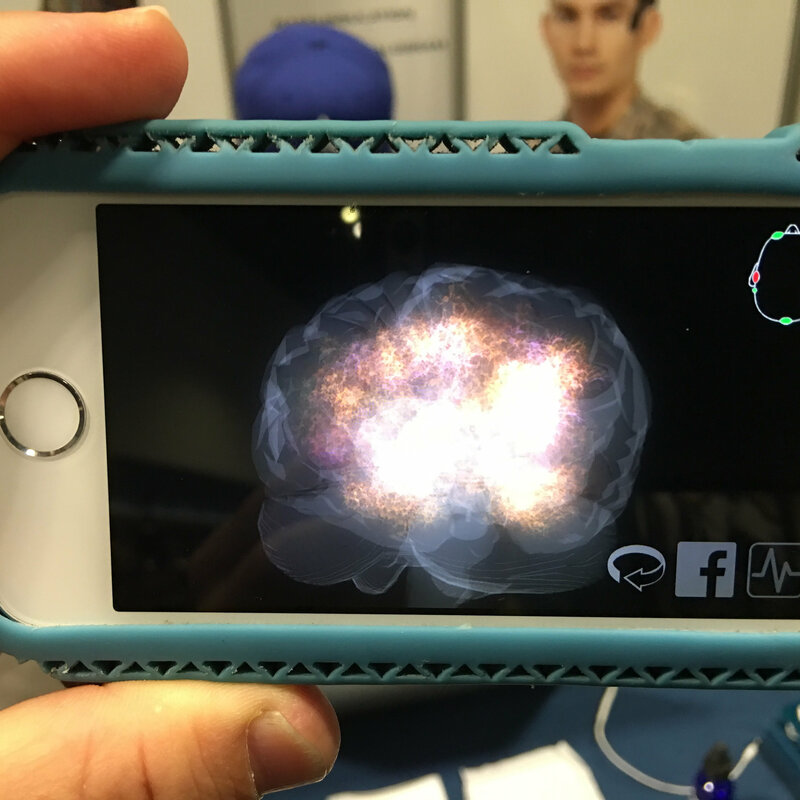 Track your brain fitness and performance with the companion app to our INSIGHT and EPOC+ wearable EEG headsets. – Compatible with INSIGHT and EPOC+ headsets and iOS 9.0 and higher. Recommended devices: iPhone 5 and above, iPod Touch 6. A revolutionary Neuroheadset and Scientific Contextual EEG offering high resolution and full spatial resolution. The award winning EMOTIV EPOC+ is a 14 channel wireless EEG, designed for contextualized research and advanced brain computer interface (BCI) applications. The EPOC+ provides access to dense array, high quality, raw EEG data using our subscription based software, EmotivPRO. 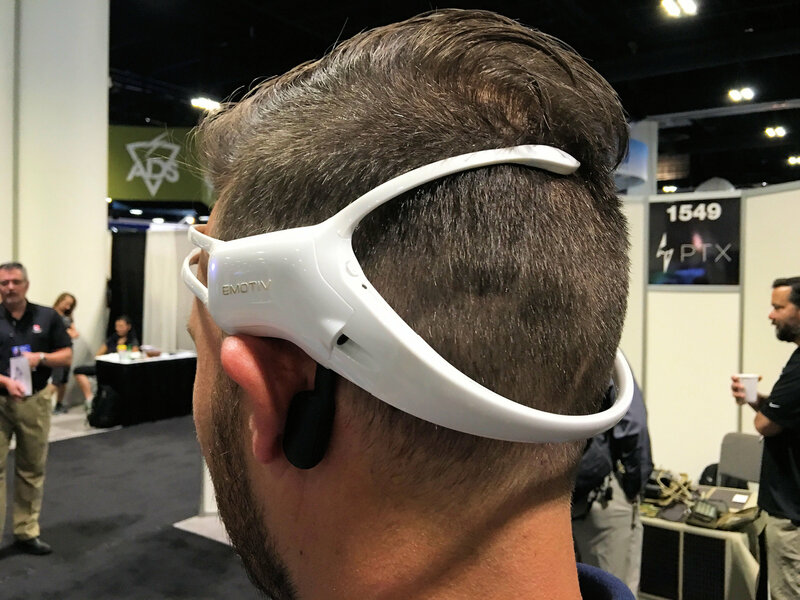 The EMOTIV Epoc+ features 14 EEG channels plus 2 reference channels and offers optimal positioning for accurate spatial resolution. The most credible and cost effective mobile EEG device on the market. All embedded DefenseReview.com (DR) photos and videos were shot by DR with an Apple iPhone 6s Plus smartphone still/video camera. Russian Robot Soldiers and Drone Swarms: Science Fact or Fiction? Meet FEDOR, Vikhr (‘Whirlwind’) and Smerch! Next: Lockheed Martin Laser Advancements for the Next-generation Compact Environments (LANCE) Air-to-Air/Air-to-Ground Fiber-Optic Laser Weapon System for Supersonic Fighter Jet Aircraft: 60-Kilowatt+ Aero-adaptive Aero-optic Beam Control (ABC) Laser Weapon Turret by 2021?